ecoartspace presents Tattfoo Tan's S.O.S. ACTION Guide, the second of ten art and ecology learning guides presenting replicable social practice art projects. Since 2009, Tan has developed a series of activities engaging his community on Staten Island and in greater New York City through sustainability activities that acknowledge the shortage of food on a global scale. S.O.S. stands for Sustainable Organic Stewardship, a pledge that Tan has taken to live more sustainably through hands on gardening, seed saving and sharing, and raising his own chickens. His art is a form of education of self and community through eco-actions that anyone can replicate. 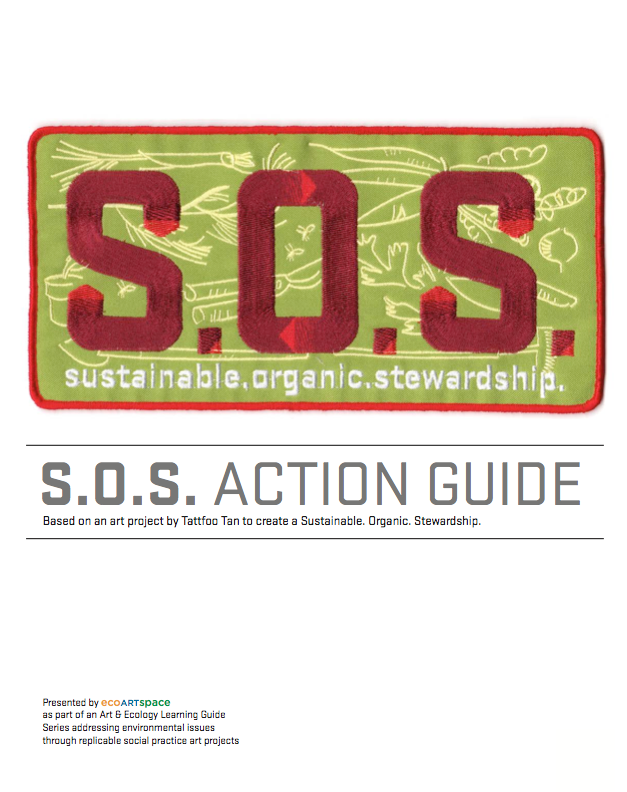 With this 36-page guide we are inviting educators, organizations and individuals to replicate what Tan did in New York anywhere in the world, to share his story and to create their own identity to help make the world a more sustainable place to live. In the guide are Tan's step-by-step process involved in developing and performing his S.O.S. projects. We invite you to click on the image below to download or view the PDF on ISSUU and distribute freely, as well as create your own S.O.S. ACTIONS in your communities and neighborhoods where food security has and will be impacting our communities in the future. 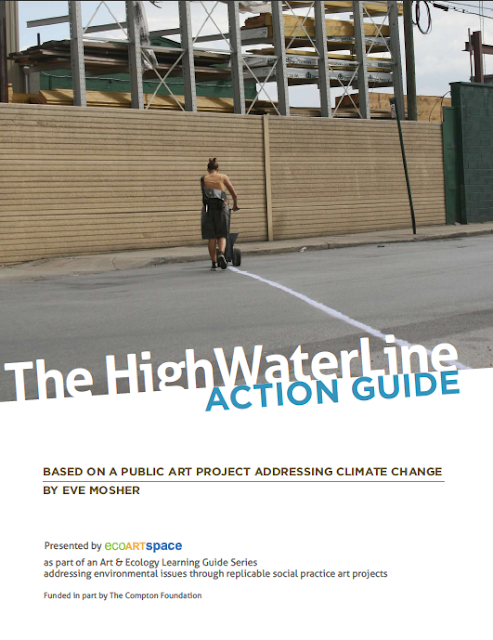 ecoartspace presents Eve Mosher's HighWaterLine ACTION GUIDE, the first in a series of ten art and ecology learning guides presenting replicable social practice public art projects. With this 36-page guide we are inviting educators, organizations and individuals to replicate what Mosher did in New York City anywhere in the world, to tell her story and to mark a line as appropriate for each individual locale. In the guide, other waterline marking materials and examples are provided, as well as Mosher's step-by-step process involved in developing and performing the project. We invite you to click on the image below to download or view the PDF in DropBox and distribute freely, as well as create your own HighWaterLine in your communities and neighborhoods where climate change has and will be impacting your natural environment in the future. ecoartspace art and ecology learning guide series 2013-16 © . Powered by Blogger.